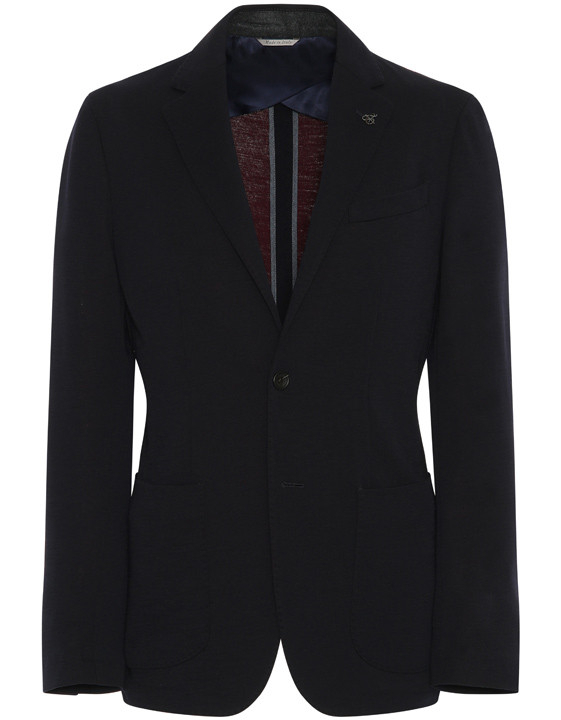 A single-breasted blazer in a jersey fabric allows for relaxed comfort while conveying serious elegance. 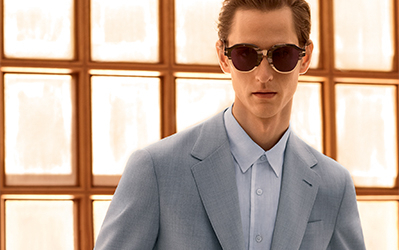 A classic light blue dress shirt is undeniably versatile and effortlessly enhances any business ensemble. Casual single breasted jersey blazer with two buttons and regular lapel. It has patch pockets and a breasted welt pocket with side vents and AMF stitching. It is a classic piece made in a contemporary blue fabric to elevate any casual ensemble. 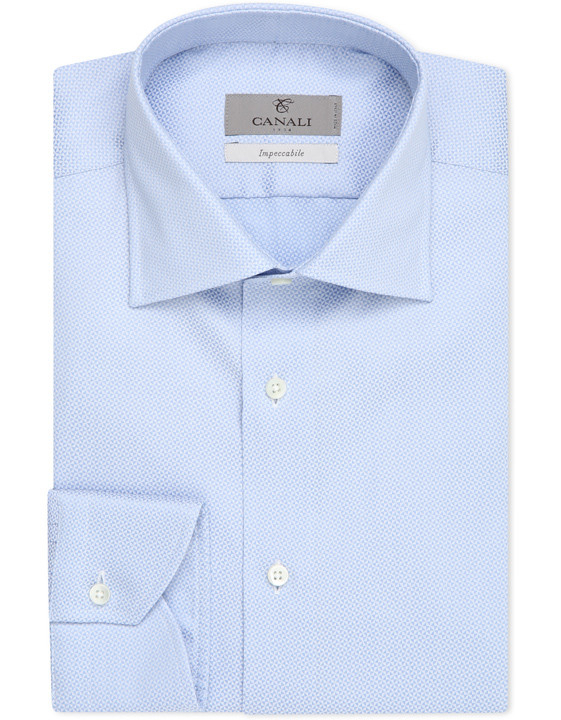 Our Impeccabile shirts blend elegance and practicality, making them an essential addition to your wardrobe. Shirts from this line are made from a special fabric that uses body heat to naturally remove creases while a modern fit offers a refined and contemporary silhouette. This style is embellished with a blue geometric motif for a dynamic and distinctive aesthetic that will add a layer of movement to your work week ensembles. 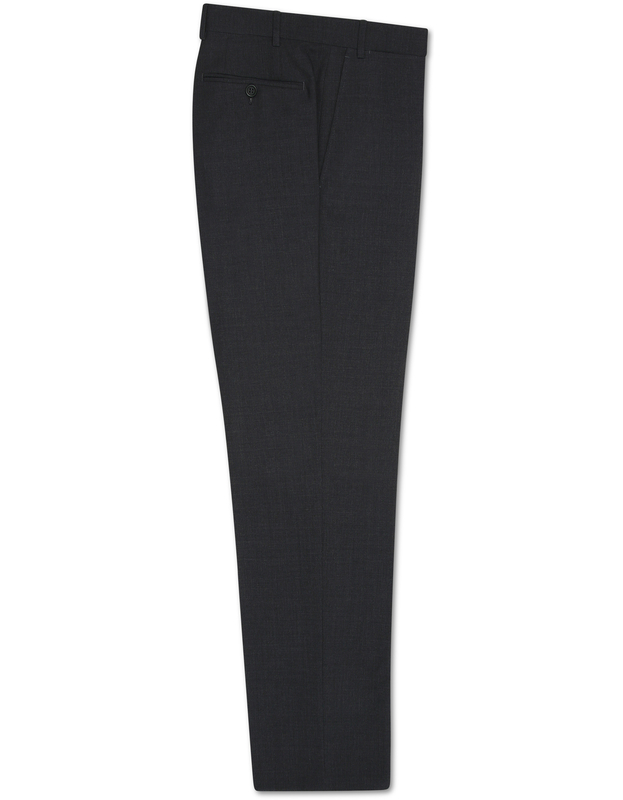 These elegant dress pants come in a luxurious Impeccabile wool - a fabric that is crease- and stain-resistant and breathable, guaranteeing an impeccable look from morning to night. This style can be worn with a blazer or simply a button-up shirt, making it a sleek and versatile addition to your work week wardrobe. 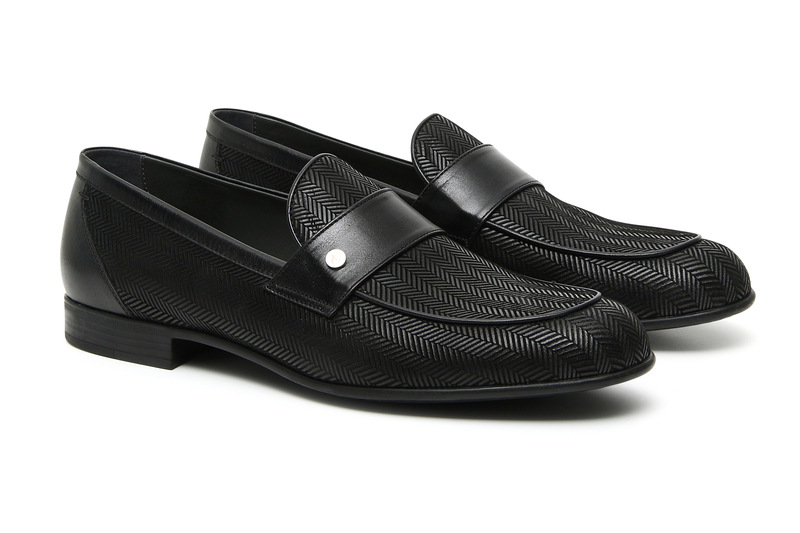 Printed suede loafers with herringbone motif for a refined touch. The anti-slip rubber sole adds practicality and comfort to this elegant piece. Perfect to match with a formal suit from the autumn collection for a sophisticated look.